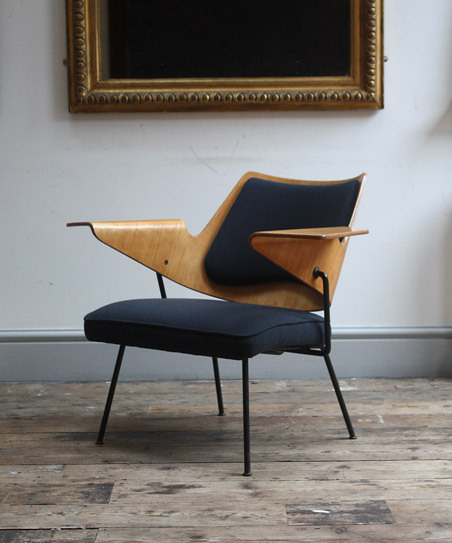 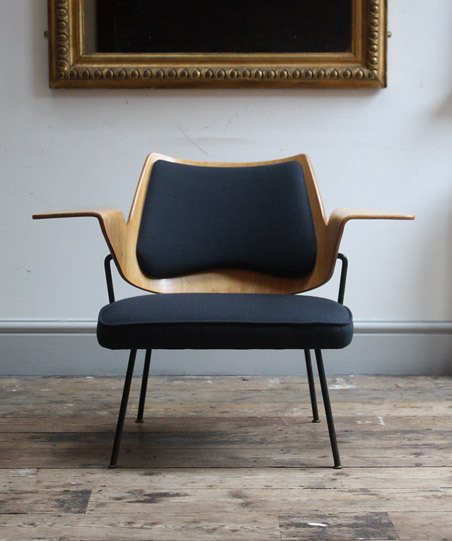 A model 658 chair designed in 1951 by Robin Day for Hille. 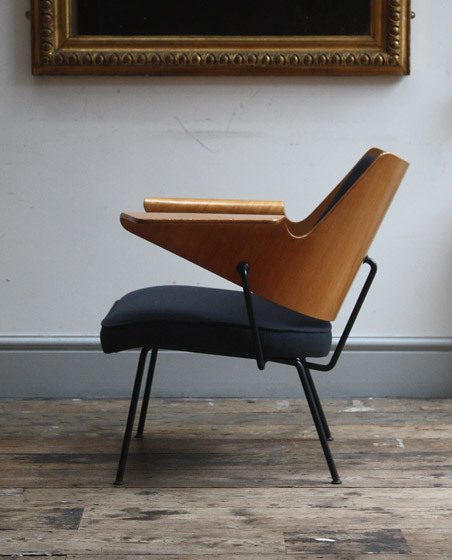 The chair was originally developed for the Royal Festival Hall. 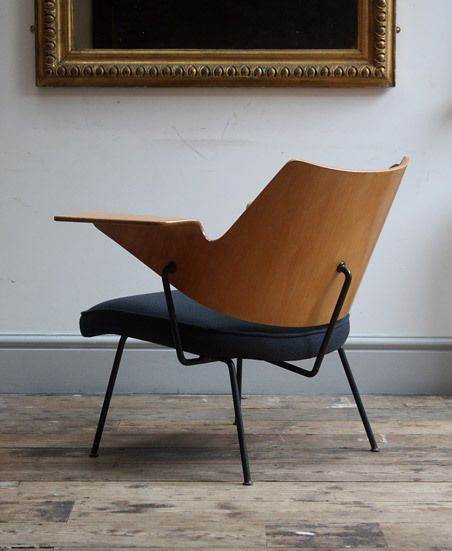 This model was only in production for a few years before being replaced with the 700 model. 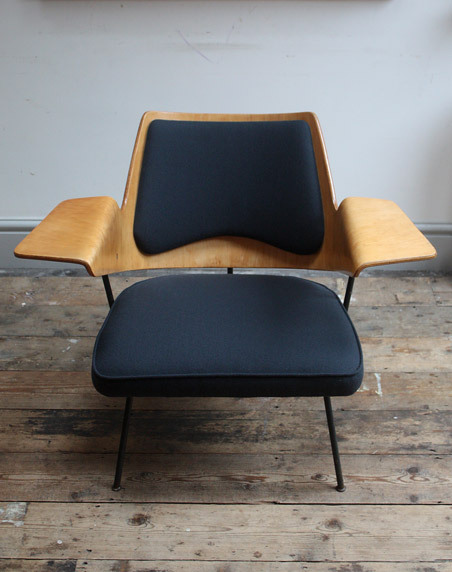 In excellent condition, the floating backrest has been repolished and the seat and back cushion reupholstered.